This feature can be utilized by selecting the EDGE Application Menu button located on the top-left in any EDGE screen. 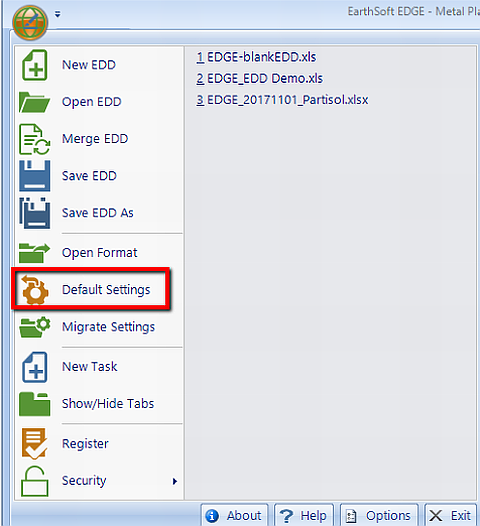 Click on Default Settings to revert all of the settings in the EDGE options back to the the original settings in force when you initially installed or downloaded the application. A pop-up will ask you if you're sure that is what you want to do before clicking OK.
Once you click OK you be unable to revert back to your custom settings.